West Marina Gardens was a place where soldiers billeted in the town came to do their exercises. Today the area is still used for the same purpose, although the participants are not training for war. In this now and then image a group of soldiers are pictured doing just that. The photo is taken at West Marina Gardens, St Leonards-on-Sea and the original image came from the Hastings & St Leonards Pictorial Advertiser dated 11th October 1917. The two photographs used to create the image, and the final combined image are below. You can view the top image full size on my Flickr page by clicking on it. This image is part of a continuing series of Then and Now images I’ve created for East Sussex Council’s World War 1 commemoration website. The website is focused on the contribution that the men and women of East Sussex made towards the war effort. A photograph and further information about Walter Robert Frank Canning can be seen here. Gas powered vehicles developed as a response to the petrol shortage during the First World War. These collapsible gas bags were installed on a variety of motor vehicles. As gas compression techniques were still being developed, the solution was to install large gas bags onto vehicles. Functionally this worked well, though smoking near to the vehicles was not advised, and travelling above 30 mph could cause damage to the bag. More information about these vehicles can be read here. The photo was taken on Grand Parade, Hastings. I should have got a modern bus in the image, but one didn’t appear in the time it took to take the photo. During the winter months the 2nd Hastings (Calvert) Troop of Scouts have devoted their Saturday afternoons to delivering coal to old age pensioners and others. This work has been much appreciated by the old people, particularly during the severe weather. The photo was taken in St Georges Road, Hastings and published in the Hastings and St Leonards Pictorial Advertiser in April 1917. To commemorate the 100th anniversary of the fire on Hastings Pier in 1917, I was asked to create some now and then images by the team working on the East Sussex WW1 website. Unlike the 2012 fire which took place at night, the one in 1917 happened during the afternoon and was witnessed by many hundreds of people. Very much like the 2012 fire though, this fire provided the opportunity for the owners to redevelop and modernise the pier. 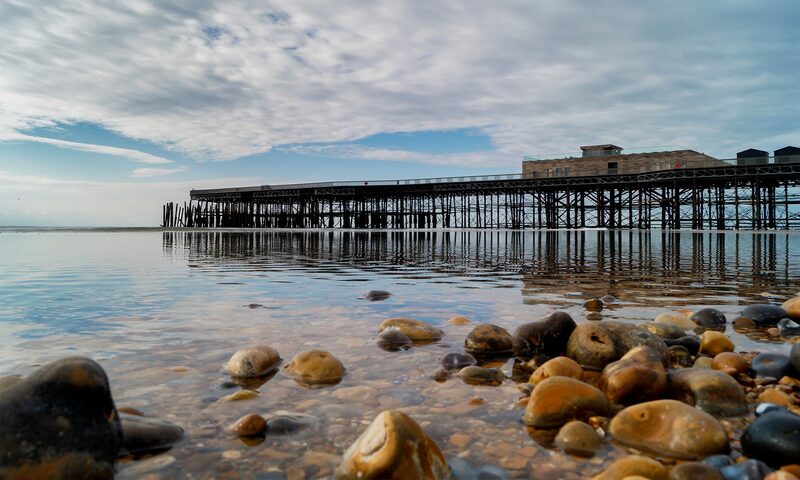 Far from being a disaster, it probably helped to ensure that the structure was repaired and strengthened, ensuring its lasting presence on the seafront. A more detailed and interesting article about the fire can be read here. Following on from the last post, Canadian Presentation 2 shows the winners of two Distinguished Conduct Medals and six Military Medals with BSM Brett, possibly Henry Charles Brett, on the extreme left. These soldiers served with the Canadian Expeditionary Force. ‘On Sunday morning, two DCMs and six Military Medals were presented to Canadian soldiers by Sir Robert Borden, Canadian Prime Minister, who was accompanied by Major-General Turner VC, DSO’. The photograph shows Sir Robert Borden with Colonel Matthews to his left. Part 2 will follow next week. Whilst the availability of food during WW1 was never as high as during peacetime, the ramping up of German submarine activity in 1917 started to make a real impact. Shipping losses in April 1917 reached 500,000 tonnes, most of which were food and other supplies coming to Britain. We coped pretty well however and even achieved a record wheat harvest in 1917. Potatoes though were one of the food items in very short supply. Deliveries of spuds back then created considerable excitement. The photo is of the junction of Courthouse Street and The Bourne, Hastings Old Town. The Original Image is from Hastings & St Leonards Pictorial Advertiser on 26th April 1917. A number of men in khaki taking a rest in a quiet corner of Holy Trinity Church, Trinity Street, Hastings. It is unclear what regiment they serve in. The original image is from the Hastings & St Leonards Pictorial Advertiser date 12th April 1917.